Even if it’s not quite as over-the-top as some of the more beastly options out there, the new Aero 15 X9 is probably going to give you exactly what you want out of a gaming or content creation machine. With the original Aero 15 being as good as it was, any refresh is inevitably going to feel a little like icing on the cake. Gigabyte’s Aero 15 was a slick-looking powerhouse of a laptop that inherited more than enough of the features and premium perks found in the company’s high-end Aorus X9 to make it an option worth considering. It wasn’t perfect. But it was one of the best laptops on the market. And if you had asked me back then how I would have made the Aero 15 better, I wouldn’t have had much in the way of suggestions. These days, Gigabyte have two. One is obvious. The other less so. The new Gigabyte Aero 15 X9 features NVIDIA’s new GeForce RTX 2070 graphics hardware. This shouldn’t be a surprise. Ray-tracing is super hot right now. Almost as hot as the heat vents on the Aero 15 X9 will become after you turn the feature on. 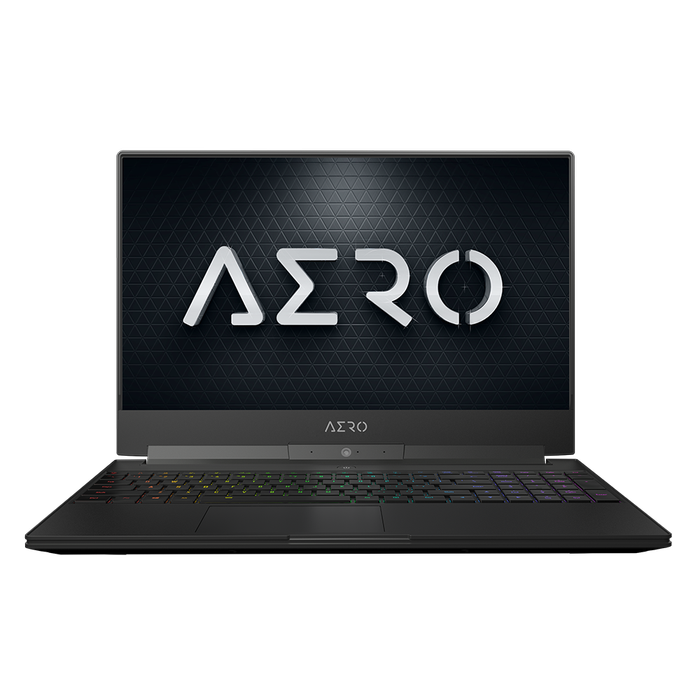 Jokes aside, the addition of RTX does bring the Aero 15 up to speed with the competition but it doesn’t do much in the way of setting it apart from them. Thankfully, the other big improvement that Gigabyte are offering with the new Aero 15 does just that. Some might say you can’t teach an old laptop new tricks, but the new Gigabyte Aero 15 X9 begs to differ. 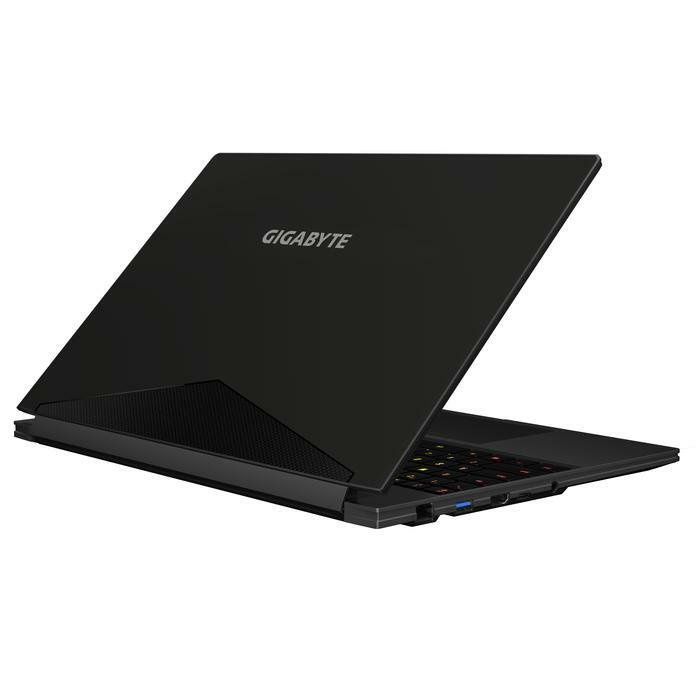 What are the specs of the new Gigabyte Aero 15? 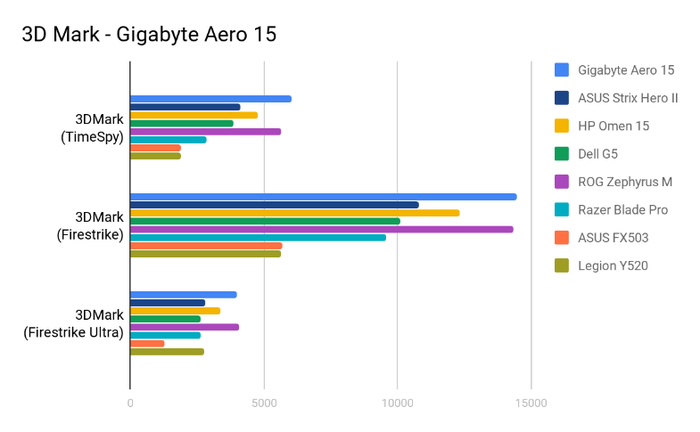 What’s Good About the new Gigabyte AERO 15? Up-front, it’s worth noting that the foundations of what the Gigabyte Aero 15 is haven’t really changed. The core design here is pretty much the same as last year’s Aero 15. It’s all slick sharp corners and thin bezels. The high-end specs you’d expect are all here. 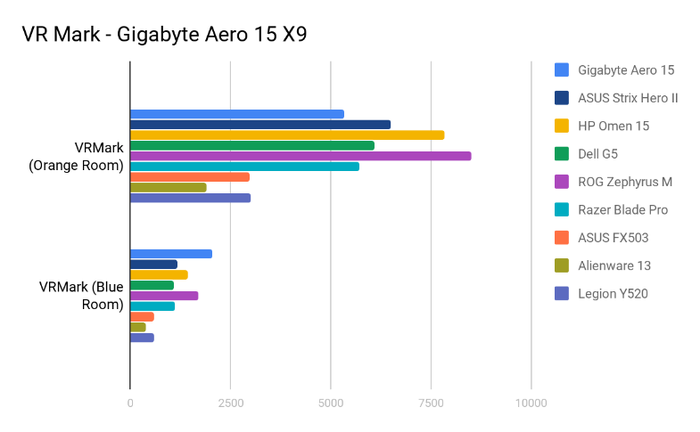 Like its predecessor, the new Gigabyte Aero 15 X9 also earns the title of best-in-class through simple arithmetic more than anything else. The spec sheet on this thing reads like the gaming laptop equivalent to the cast list of an Avengers film: Nvidia’s RTX 2070 graphics, a hefty 1TB of Intel Optane SSD storage,16GB of Samsung’s high-performance DDR4 RAM, an i7-8750H CPU plus a 15.6-inch LG 144Hz FHD IPS display. The arsenal of ports on the new Aero 15 X9 is similarly comprehensive. The laptop comes equipped with pretty much everything you could want and finds a nice balance between next-generation “nice-to-haves” like USB Type-C and “must-haves” like USB 3.0 and HDMI. It’s even got classic ethernet and combo audio jacks. The sum total here is a solidly built portable gaming machine that errs on the right side of bulky, even if it couldn’t fairly be called lightweight. It’s lighter than you expect, but it’s still a little heavier than I’d like. What’s the performance of the new Gigabyte AERO 15 like? Moving onto the performance of the thing, the Gigabyte Aero 15 X9 delivered the goods. Like the original Aero 15, it’s a beast. We cranked the settings on Capcom’s recent Resident Evil 2 remake up to high and the Aero 15 was able to manage a stable(ish) 30-40 frames-per-second. Large scale strategy games like Battlefleet Gothic 2 and Total War: Warhammer 2 proved less challenging. The Aero 15 delivered a consistent 60-ish FPS on the latter (“campaign benchmark”) and closer to 55 on the former. Even Monster Hunter: World, our current go-to for laptop testing couldn’t make the Aero 15 sweat. Most of the time it managed a good 50-60 FPS, dipping closer to 40 FPS during heavier and combat sequences. 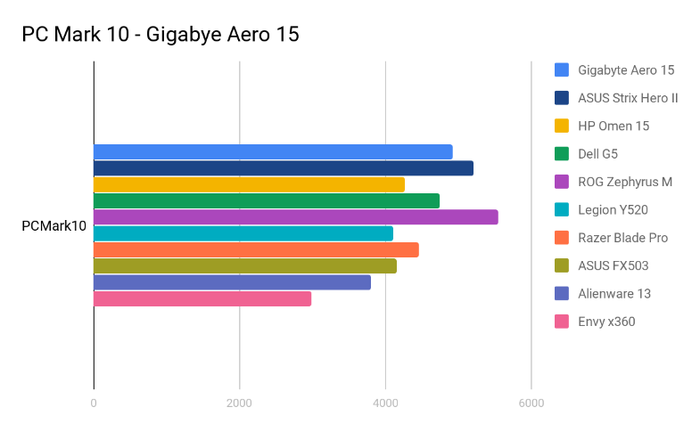 As for more-general benchmark scores, the new Gigabyte Aero 15 X9 didn’t exactly blow away the rest of the options when it came to PCMark 10 but it did hold its own. It ranked third place, losing to the ROG Strix Hero II and the ROG Zephyrus M.
When it came to 3DMark, the new Gigabyte Aero 15 X9 emerged as a more confident and consistent contender. Across both the Firestrike and TimeSpy benchmarks, it emerged in first place. FireStrike Ultra saw it a close-second to the ROG Zephyrus M.
We also ran the Gigabyte Aero 15 through 3DMark’s new Port Royal benchmark, which is designed to push the device’s ray-tracing capabilities to their limit. We don’t actually have anything to compare it to on-hand but, for future reference, it scored 3419 here. Last but not least, the Gigabyte Aero 15 delivered strong but not exceptional results when it came to VRMark. At least, when it came to the Orange Room Test. It fared better on the Blue Room test, scoring first place. When subjected to the Battery Eater testing tool, the Gigabyte Aero 15 X9 took 2 hour and 28 minutes to dissipate its entire charge. This test is designed to burn the battery down as fast as possible and show off the minimum amount of battery life you can expect. In context, this is a decent result for a laptop as powerful the Aero 15 is - but it falls short of anything mind-blowing. Does the AI Mode make a difference? 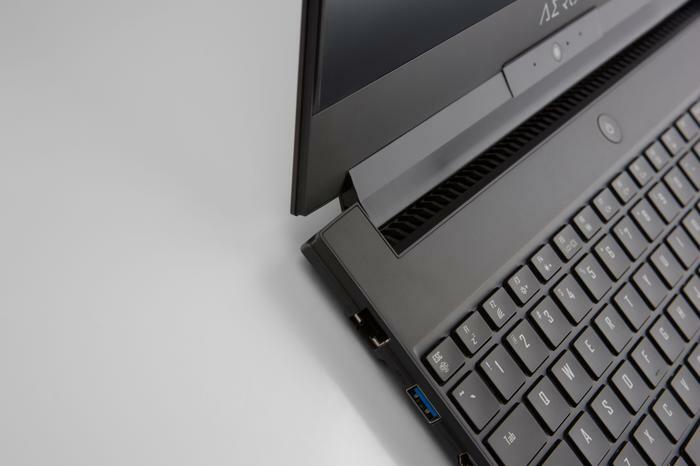 As mentioned in the intro, the Aero 15 X9’s key point-of-difference over other laptops is its toggleable “A.I. modes”. There are two options on offer: AI Edge and AI Cloud. Gigabyte say that, when enabled, these modes enhance everyday performance by processing usage data through Microsoft's Azure A.I. According to them, the new AERO 15 is able to learn and adapt to your unique user preferences and deliver better performance as a result. They cite things like keyboard preferences, fan modes or CPU and GPU wattage control as things that the AERO 15 X9 is able to optimize in accordance with user behavior. How does that work? 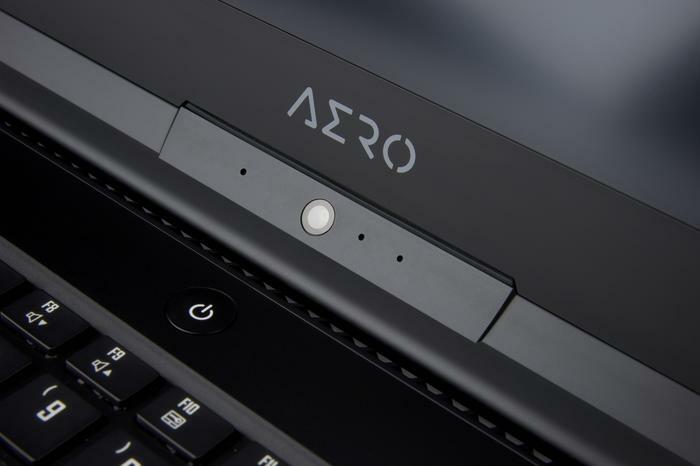 Every 10 seconds or so, the Aero 15 will take an anonymous snapshot of your system. It’ll compare that data against a database of applications and pre-tuned settings. It’ll then make adjustments based upon those settings. At face value, this is a pretty unique hook. There are shades of what ASUS is promising with Project Precog - the futuristic laptop they showed off at last year's Computex - and some of what Huawei are already doing with their Kirin 900 series smartphone CPUs. All the same, it’s something that no other laptop out there really seems to be offering. That said, honestly, it’s difficult to really say how much the Aero 15 X9’s Microsoft Azure AI integration really makes. From the outset, everything about this feature a little vague and I’m reticent to give it the benefit of the doubt. Whether this is because the feature itself doesn’t make that much of a difference when it comes to performance or whether it doesn’t do enough to make that difference noticeable, it’s difficult to say. Regardless, during our time with the device, I can’t really say it made a significant difference to our everyday experience with the Aero 15 X9. We found that the Aero 15 X9 returned better benchmark scores with the feature enabled. However, when it came to gaming, the difference this feature made was only consistent in its inconsistency. On some games, we’d get slightly better (to be specific, we’re talking about 5-10 FPS difference) performance with the mode on. On other games, we’d get slightly better performance with the Aero 15’s AI mode disabled. What’s not so good about the new Gigabyte Aero 15? Putting the possible difference in performance aside, the branding around the the AI performance enhancement feature here feels a little cringey. A little crass. A little lame. Leaving the feature enabled also means that you’ll have to live with a big obnoxious “A.I Gaming + Performance” logo in the upper-right corner of your desktop. To be clear: AI-science techniques like deep learning are super-cool. In the right circumstances, they can be a mathemagical sauce that paves the way for things like the Google Pixel’s camera. However, just as often, they create incremental, algorithmic improvement rather than meaningful changes that benefit the user. It feels like the Aero 15 X9 falls into this familiar pitfall. The other caveat here is the cost. This is far from exclusive to the Aero 15 X9 but it’s worth noting nevertheless. Gaming laptops have always been expensive to begin with and the arrival of Nvidia’s exorbitant but powerful RTX graphics hardware hasn’t helped things. The Aero 15 X9 is far from cheap - and it doesn’t necessarily feel as expensive as to feel and to handle as it ought to. It's all black lacks personality and while it doesn’t feel like cheap plastic, it does feel like plastic. A little bit of material design would go a long way here. Finally, it's hard not to imagine how much better the performance of the Aero 15 X9 could be if Gigabyte opted for dual-channel memory rather the single-channel setup here. Even if the Aero 15 X9 isn't trying to dethrone halo laptops like the Gigabyte's Aorus, it would be nice to feel like it's trying to compete and swing a little more above its weight-class. There’s not a whole lot that I can say about the new Gigabyte Aero 15 that I haven’t already said about the old one. It’s got solid as hell specs and the performance to match. Even if it’s not quite as over-the-top as some of the more beastly options out there, it’s probably going to give you exactly what you want out of a gaming or content creation machine. Despite the branding, the new Gigabyte Aero 15 more an evolution than a revolution. That's still pretty good though.